From the small town to the city, Minnesota has hundreds of fantastic restaurants to choose from. There is truly something for everyone who has a taste for delicious food. But some restaurants go above and beyond. 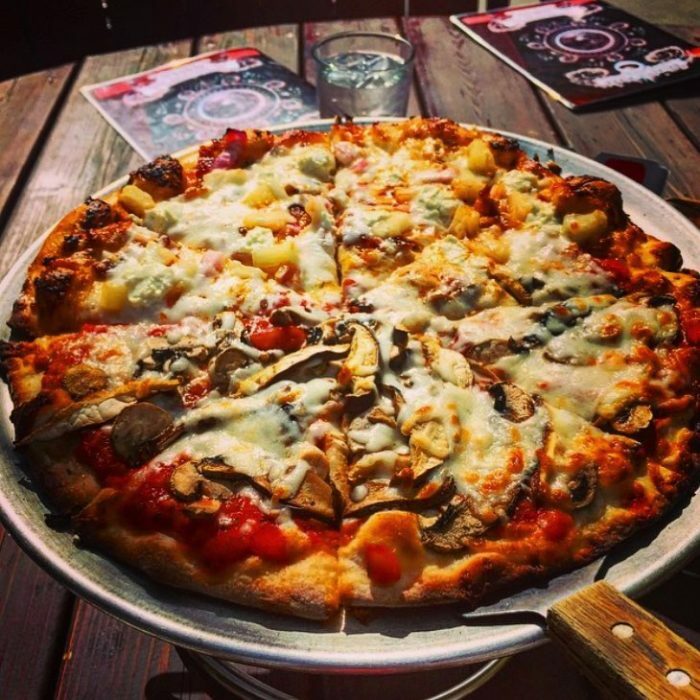 Next time you have a hankering for great food in a unique atmosphere, check out Galactic Pizza. This whimsical restaurant has a quirky exterior, fantastic food, and a great mission. The first thing you’ll notice about Galactic Pizza is that it’s hard not to notice the yellow building. It’s a bright spot in a city often covered in snow. You can see that no detail was spared while designing the storefront. Great signage, a fun color scheme, and comfortable outdoor seating all make this a winning spot. 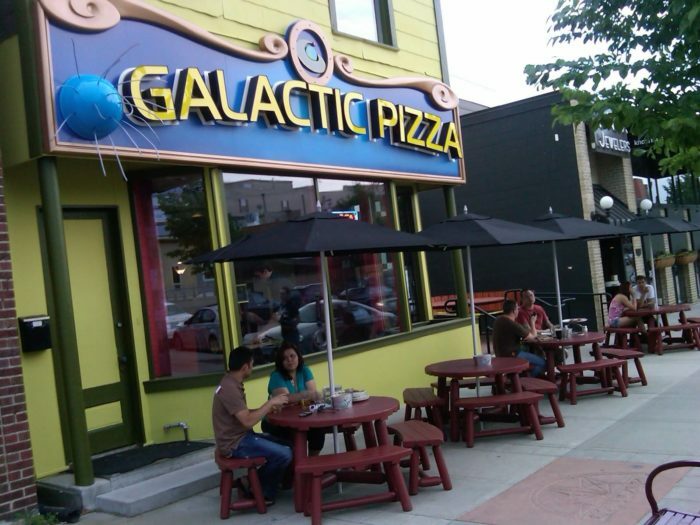 Besides the sidewalk seating, Galactic Pizza also has a side patio area. 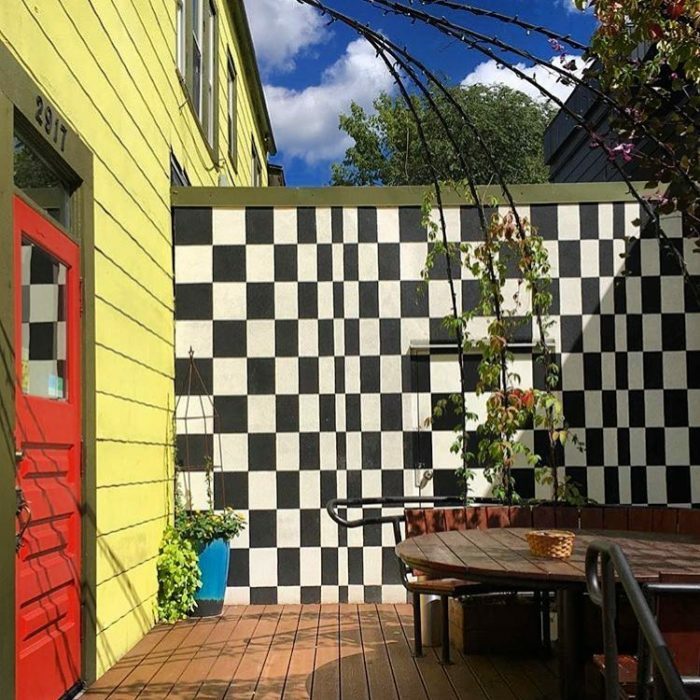 The vibrant checkerboard wall will make you feel like you’re in an optical illusion. But the fun doesn’t stop when you step inside. A cheerful pink interior awaits, complete with quirky artwork. Cozy corner seats will give your dinner with friends an intimate feel. Galactic Pizza is also known for its friendly service. 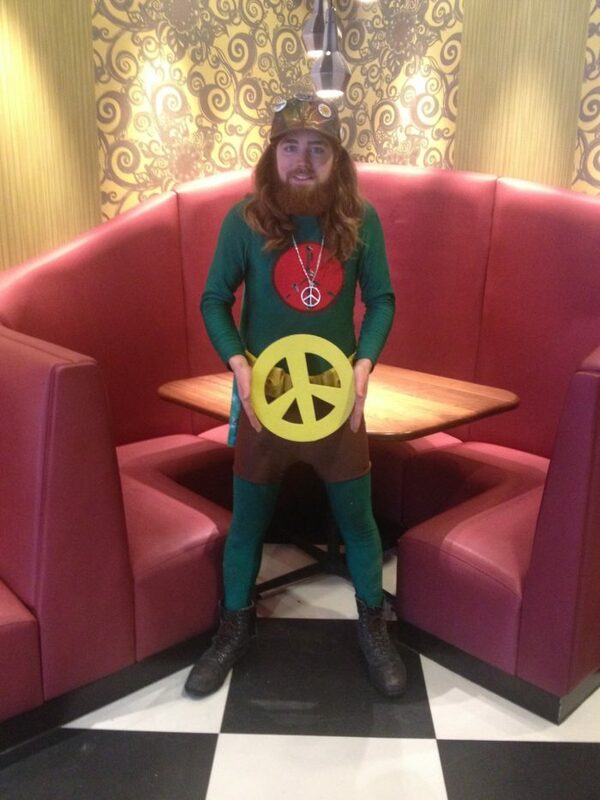 Delivery workers dress as superheroes and often drive electric cars. For those dining in, the exceptional service doesn’t change. 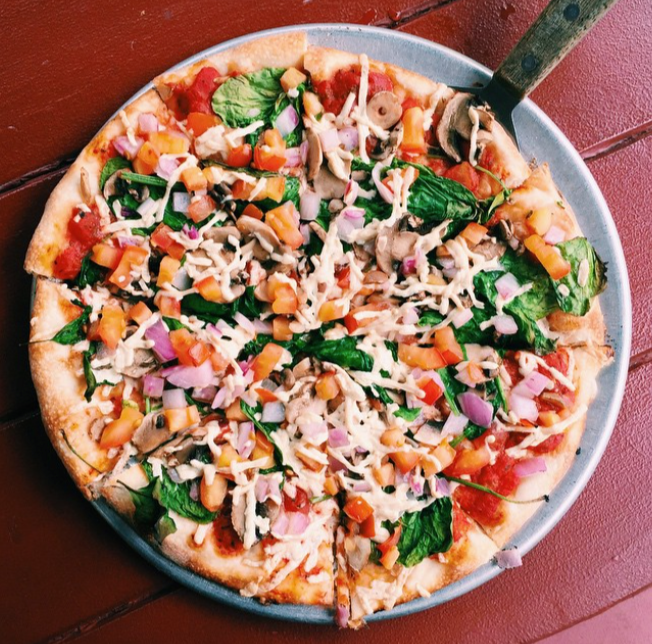 Staff are friendly, and the menu offers a lot of options for those on vegetarian, vegan, and gluten-free diets. 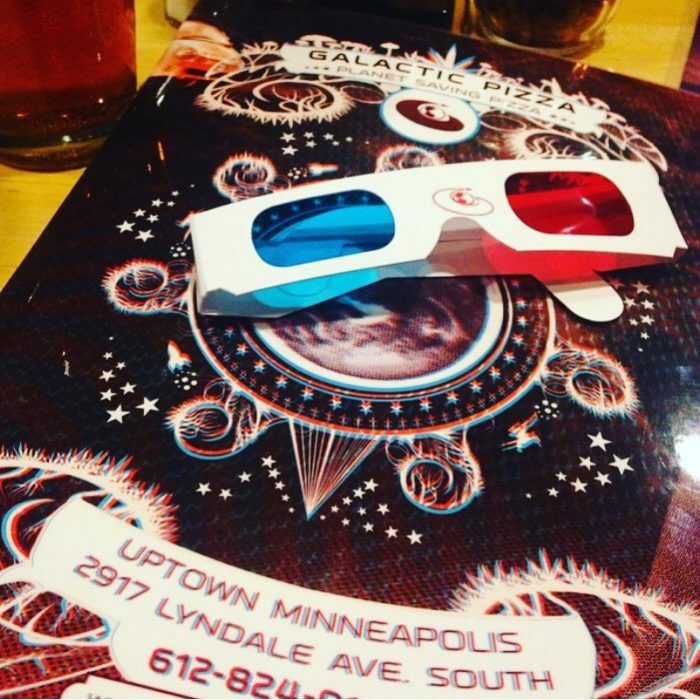 The Galactic Pizza experience is so complete that it comes in 3D! 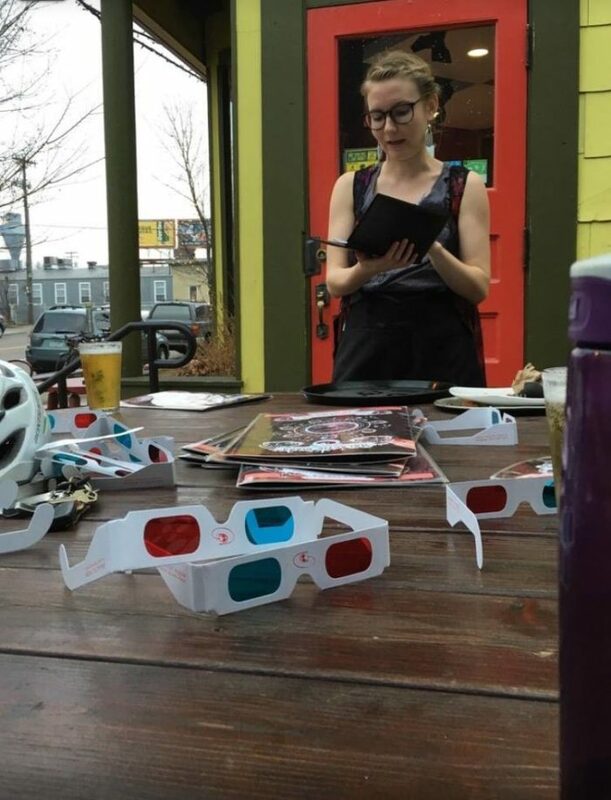 Put on a pair of 3D glasses and let the delicious pizzas jump off the page. But we can’t talk about a restaurant without mentioning the food. 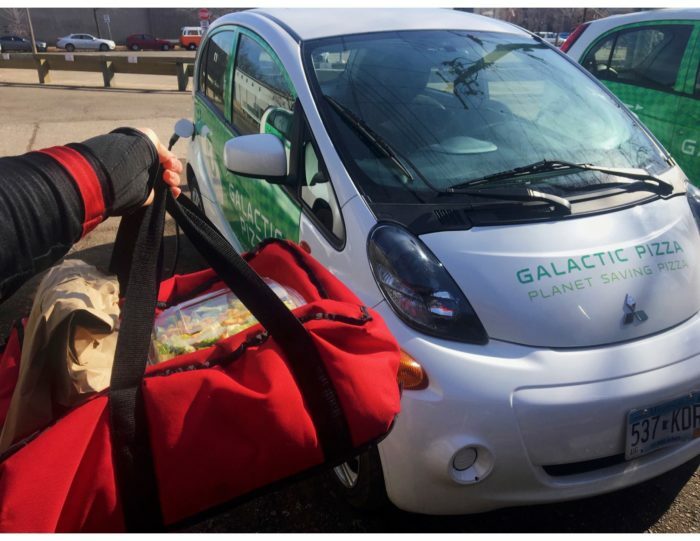 Galactic Pizza prides itself on using local produce, organic ingredients, reducing waste, and using earth-friendly packaging. 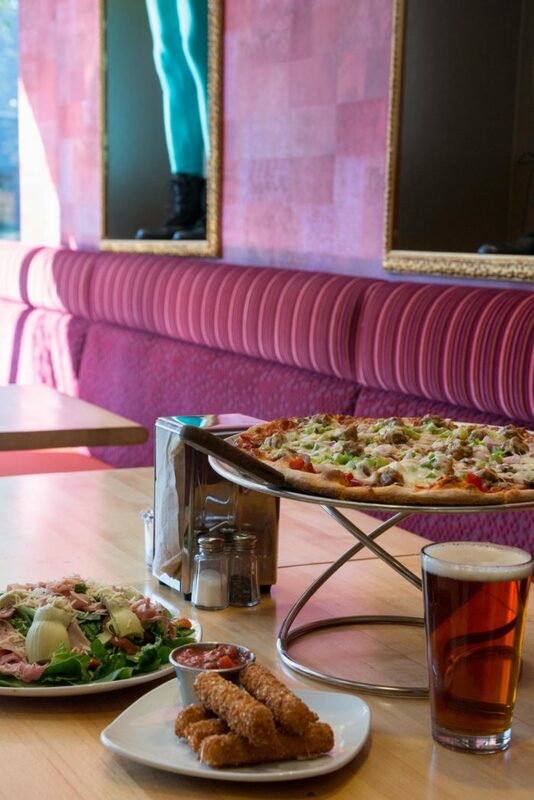 Combine the restaurant’s vision with the outstanding flavor combinations of their pizzas, and you have a truly super restaurant. 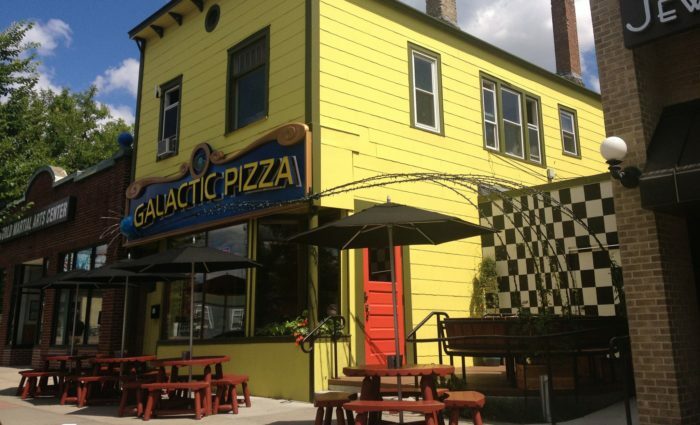 Galactic Pizza is located at 2917 Lyndale Avenue South in Minneapolis.